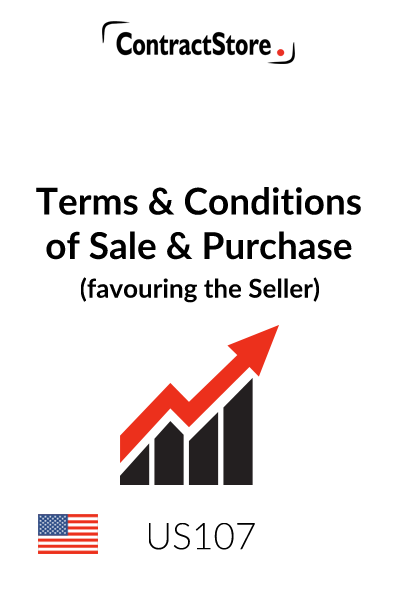 Standard terms and conditions of sale which favour the Seller, suitable for shrinking and attaching to the reverse side of a Seller’s sale order, invoice or confirmation. The document also describes the items that should be addressed on the sale order, invoice or confirmation. The form is designed for use when U.S. law applies, but contains language suitable for cross-border sales. 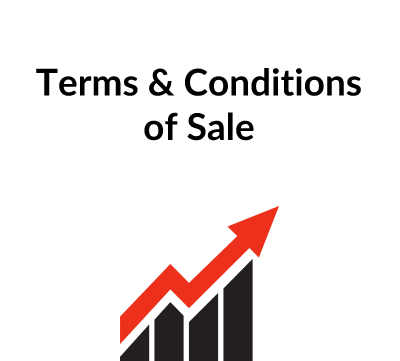 A large volume of sales business is done every year on the strength of standard terms and conditions of sale. Most commonly, these are found on the reverse side of a buyer’s purchase order or a seller’s sale order, invoice or confirmation. Part A contains a checklist of the items that should be included on the sale order, invoice or confirmation (referred to as the ‘Seller’s Order’). Among these items is an example of clear language charging Buyer with notice of the standard terms and conditions on the reverse side of the sale order, invoice or confirmation. 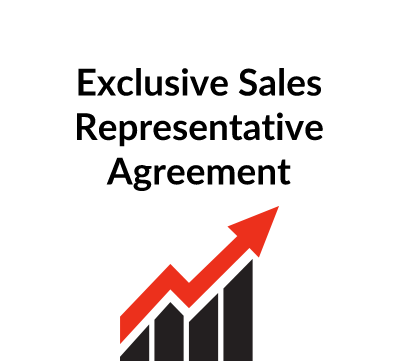 Part B contains the actual standard terms and conditions for inclusion on the reverse side of the sale order, invoice or confirmation. By careful formatting and shrinking of the type size, the terms should fit on a single page. This form is intended for use in any state in the United States. However, as is the case with any agreement for use in the United States, regard must be had for the possibility of variations in the laws from state to state. In the context of commercial relationships, the laws do tend to be substantially similar among the states, but there are areas of substantive difference. In this regard, the state of Louisiana stands out in particular, as it bases parts of its commercial and other laws on the civil codes rather than on the common law. Most relevant for present purposes is that Louisiana is the only state that has not adopted Article 2 of the Uniform Commercial Code, in which most U.S. state sales law is found. This form provides a good starting point for preparing a first draft of “seller-friendly” terms and conditions of sale. However, as with use of any form, it is very important to take the time to read the form in its entirety to ensure that it is customized appropriately for use in your individual situation. For all but the simplest types of transactions, it can be anticipated that some customization will be in order; and as mentioned above, it may also be advisable to consult with competent legal counsel. The most common issue to arise when using standard terms and conditions is the “battle of the forms.” The “battle of the forms” arises when each party to a sale-of-goods transaction attempts to impose its form of terms and conditions on the other. Issues arise if the forms are in conflict with each other. For example, Buyer might issue a purchase order with terms that stipulate that the purchase order is the only agreement between the parties and that it supersedes all prior and future agreements relating to the sale. Seller might respond with a confirmation or invoice with different terms which also contains a stipulation that it supersedes all prior and future agreements relating to the sale. The battle of the forms is concerned with determining which of the two forms prevails as the binding “agreement” of the parties. At common law, the general rule was that the last document in time prior to performance of the contract would generally prevail. So if a purchase order from Buyer was followed by an invoice with conflicting terms from Seller, then Seller’s form would initially prevail. The theory here was that Seller’s invoice had the effect of rejecting the terms of Buyer’s original purchase order and substituting the terms of the invoice as a counteroffer. However, if Buyer followed up with a further confirmation with different terms, then Buyer’s confirmation form would prevail, again on the rejection-and-counteroffer theory. This would continue until the transaction was performed. Factual disputes (as to who sent what to whom, and when) could make the situation a good deal more complicated than this, however. In other words, the general rule at common law was that an acceptance had to be on the same terms as the offer in order to be effective – the so-called “mirror image” acceptance rule. (1) An acceptance or written confirmation operates as an acceptance (and not as a rejection and counteroffer) even if it states terms additional to or different from those originally offered (i.e., the mirror image acceptance rule does not apply), unless the acceptance is expressly made conditional on assent to the additional or different terms. As will be evident even from this brief summary, Section 2-207 is incredibly complicated and unpredictable in its operation. 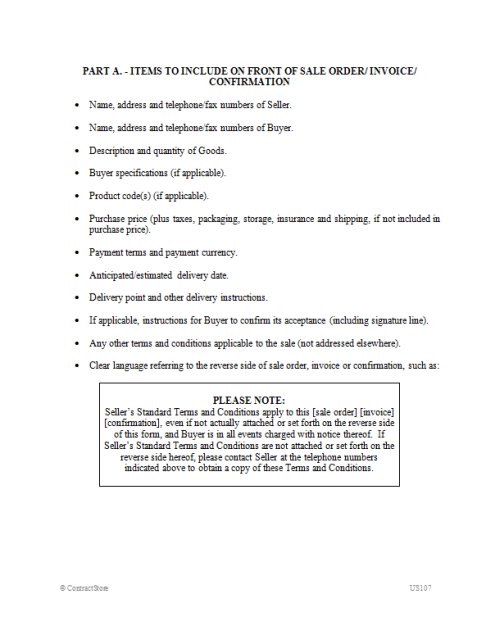 Paragraph 1 of this form of sale order/invoice/confirmation attempts to cause its terms to prevail over contrary terms and conditions from Buyer’s purchase order or other confirmation document, but whether it will actually have that effect depends on (a) the particular facts and circumstances in which a dispute arises, and (b) the interpretation and application of Section 2-207 by a court (and state courts have differed in their interpretation and application of some of the details of Section 2-207). The form of Seller’s Order has been left open to be prepared by Seller. At a minimum, it should incorporate the items listed in the bulleted checklist. There should also be included in conspicuous typeface the language drawing Buyer’s attention to the terms and conditions supposedly set forth on the reverse side of the sale order/invoice/confirmation. This is important in case the front side of the Seller’s Order is faxed or copied without the reverse side, and helps to avoid an argument by Buyer that it is not bound by the standard terms and conditions. 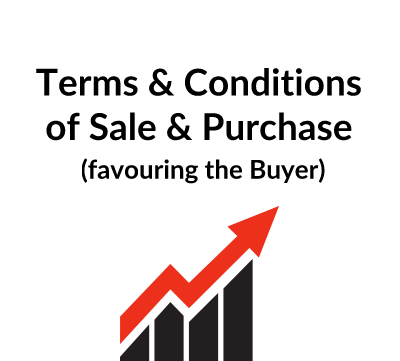 Buyer is instructed to contact Seller to obtain a copy of the standard terms and conditions, should they have been omitted from the sale order/invoice/confirmation transmitted to Buyer. The inclusion of a signature line for Buyer to accept the sale order/invoice/confirmation is important, because a sale order/invoice/confirmation signed by Buyer can be conclusive proof of the parties’ agreement and therefore help avoid the “battle of the forms” issues described above. The “battle of the forms” rules have been described above. Paragraph 1 is intended to slant the application of these rules in favour of applicability of this sale order/invoice/confirmation form as the definitive agreement of the parties. As mentioned above, a signature line should be included on the front side of the Seller’s Order because a sale order/invoice/confirmation signed by Buyer can be conclusive proof of the parties’ agreement and therefore help avoid the “battle of the forms” issues described above. Depending on whether this form is used as a sale order, an invoice or a confirmation, the brackets and bracketed language that is redundant should be deleted. Paragraph 2 sets forth the presumption that the agreed on price is exclusive of taxes, storage, insurance and shipping. If this is not the case, the form of Seller’s Order should so indicate. This paragraph also contains a general representation by Seller that the pricing complies with federal law prohibiting price discrimination. Paragraph 3 sets forth the presumption that delivery will be F.O.B. Seller’s location. If this is not the case, the form of Seller’s Order should so indicate. Unless otherwise indicated on the form of Seller’s Order, delivery dates are estimates only. Shipping arrangements are the responsibility of Buyer. As is standard under the Uniform Commercial Code and U.S. practice, risk of loss and title pass upon delivery. In most states, retention-of-title clauses will take effect as liens on the Goods, and therefore “Romalpa”-type clauses are not widely used in the United States; so this form applies a retention-of-title clause only if it would be effective to retain title under applicable law. Paragraph 4 provides standard terms of payment that should be customized as necessary. It also allows Seller to demand security for payment in certain situations, typically where Seller deems itself to be insecure as to payment of the purchase price. Paragraph 5 contains some specific product warranties. These should be supplemented on the Seller’s Order with any Buyer specifications. This clause is slanted towards Seller in that it includes standard language excluding other (implied) warranties and special, indirect, incidental and consequential damages. The language is in all capital letters because of a legal requirement that the exclusion be “conspicuous”. Paragraph 6 provides Buyer with rights of inspection and rejection, including a right to return nonconforming Goods to Seller at Seller’s expense. Paragraph 7 contains standard short-form confidentiality language protecting Seller’s confidential information. Paragraph 8 allows Seller to terminate all or any part of the order or allocate its supply of Goods among its customers for its own convenience. No compensation is payable to Buyer in respect of the termination or allocation. Paragraph 9 allows Buyer to terminate all or any part of the order for cause. No compensation is payable to Buyer in respect of the termination. Paragraph 10 obligates Buyer to indemnify Seller in certain situations. Paragraph 11 contains standard force majeure language. Paragraph 12 contains standard no-waiver language. Paragraph 13 is an attempt to instruct a court to take a flexible approach to the Agreement in the event that one or more clauses prove to be illegal or otherwise enforceable, provided that it is still possible for the essential intent of the parties to be achieved. Paragraph 14 contains choice of law and dispute resolution language. Choice of law can be contentious in U.S. contract negotiations because there are 50 states to choose from, and each party may have an instinctive bias in favour of using its own state law. Unless there is some reason to pick another state’s law (e.g., more favourable substantive law), it is customary to pick the laws of the state with which the drafting party is most familiar (again, usually its own state). This choice of law provision picks the laws of a single state (federal laws apply regardless of the state law election), which is most likely to be respected by the courts if it has some relationship to the contract (subject to application of mandatory principles of local public policy). Most U.S. states (that is, all other than Louisiana) have adopted some variation of Article 2 of the Uniform Commercial Code. This means that, in the realm of sales law, there is substantial (though not perfect) uniformity among the states. In U.S. contracts for the international sale of goods, the specific exclusion of the U.N. Convention on Contracts for the International Sale of Goods (the CISG) is common and reflects a typical bias in favour of applying U.S. sales laws over the laws imposed by an international treaty (the interpretation of which is often unclear). Note that unless it is specifically excluded, the CISG will apply to any sales contract where both parties are from countries that are signatories to the CISG. If this sale order/invoice/confirmation is being used in a purely domestic setting, then the bracketed language relating to the CISG can be deleted. Paragraph 14 provides for dispute resolution by litigation. Seller should complete the blank to elect a forum for litigation (usually Seller’s own city and state).